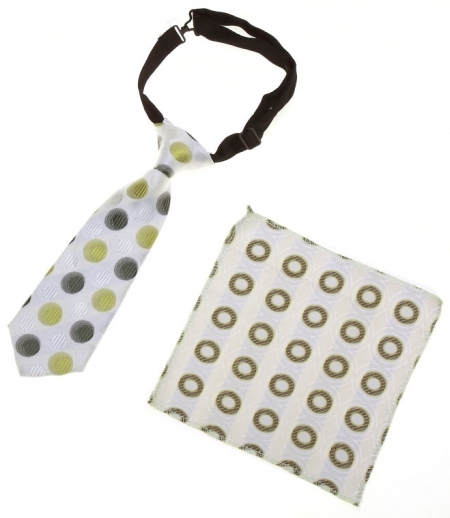 Boys green Tie with small geen & white circles pattern. Length 8"/20.5cm (including the knot). Suitable from 6 months to 2 years. Easy adjustable strap.